Geopolitical profile: Poland, officially the Republic of Poland, is a country in Central Europe situated between the Baltic Sea in the north and two mountain ranges (the Sudetes and Carpathian Mountains) in the south. Bordering Germany to the west, the Czech Republic and Slovakia to the south, Ukraine and Belarus to the east, and Lithuania and the Russian enclave of Kaliningrad to the northeast. With an area of 312,679 sq km it is the 9th largest country in Europe and the 63rd largest in the world. With a population of over 38.5 million people, Poland is the 34th most populous country in the world, the 8th most populous country in Europe and the sixth most populous member of the European Union. Its capital and largest city is Warsaw. Position on the geopolitical map: the Eurasian Rimland. Poland lies on the border of Atlantic and Continental Europe what makes it a front-line state. Geopolitical balance: Pro-Atlanticist: Poland is the main supporter of the US initiatives in the post-communist Europe. Opponents: Forced by NATO leadership to be concerned with potential Russian expansionism. In its pursuit of the integration with the West and Europe, Poland is strongly focused on historical revisionism. · Poland’s strategy is to find an outside power to guarantee its interests. Since 1989 every Polish government has been a strong supporter of continued American military and economic presence in Europe. Poland has gained popularity of “American Trojan horse” for its ardent Atlanticism. It is one of the most pro-American countries of the European Union, and this position is fully supported by the majority of Poles. · Polish foreign policy sharply criticizes Russia and Belarus for what they called “anti-democratic regimes” and supports oligarchic regimes in Georgia, Azerbaijan and Ukraine. 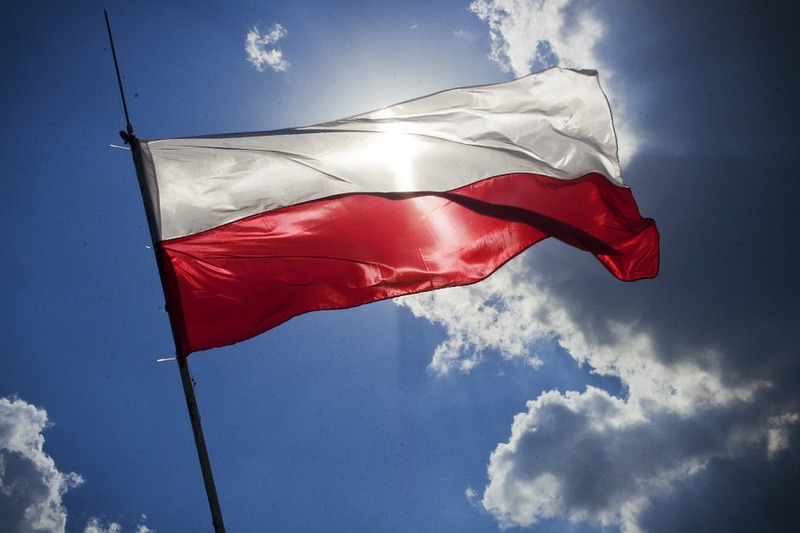 · As a member state that forms part of the EU's external border, Poland has implemented the strict Schengen border rules to restrict illegal immigration along its eastern borders with Belarus and Ukraine. · Polish nationalists propose to revise the existing status of Kaliningrad Oblast by turning it into a free political and economic zone with a special control system. Poland cannot appeal to the “historical” factors of its accessories, so it focuses on the problem of militarization of Kaliningrad Oblast, that is allegedly posing a threat to Polish security. · Polish nationalists claim westernmost parts of Belarus (including Grodno and Brześć), Ukraine (including Lwów, Stanisławów and Tarnopol), eastern Lithuania (including the capital Vilnius) and Zaolzie, now part of the Czech Republic. Political schema: Poland is a representative democracy, whereby the Prime Minister is the head of government of a multi-party system and the President is the head of state. Polish government has strongly pursued an Atlanticist foreign policy. The current Polish government, led since autumn 2015 by the right-wing national-conservative Law and Justice (PiS) party, has been an even stronger advocate of building closer ties with the USA than its predecessors. Geostrategy description: Poland has been an active nation in advocating European integration. Poland’s government has made an effort to promote closer security and defense ties and coordination with European NATO members and the U.S.
Economic description: Poland was one of the fastest-growing economies worldwide pre-crisis and the fastest-growing economy in post-crisis Europe (SOURCE: International Monetary Fund). Polish industry is diversified and evenly distributed around the country. It includes machine building, iron and steel, coal mining, chemicals, shipbuilding, food processing, glass, beverages, textiles. Transnational description: the European Union, NATO, the UN, the World Trade Organization, the Organisation for Economic Co-operation and Development (OECD), European Economic Area, International Energy Agency, Council of Europe, Organization for Security and Co-operation in Europe, International Atomic Energy Agency, European Space Agency, G6, Council of the Baltic Sea States, Visegrád Group, Weimar Triangle and the Schengen Agreement.